Patient specific appliances that provide consistently proper fit and ultimate patient comfort. A variety of our products are arranged by category. Select a category to see a product photo and detailed information. 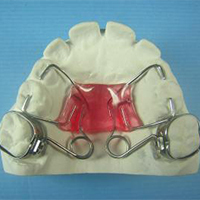 Passive removable appliances designed to hold the existing position of a patient’s teeth. They are usually prescribed for wear shortly after the braces are removed to retain the results achieved during treatment. 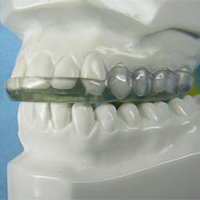 Active removable appliances designed to make minor corrections to the position of a patient’s anterior teeth. These corrections are achieved by cutting the teeth to be moved off of the work model and resetting them to an ideal position using wax to hold them in place. 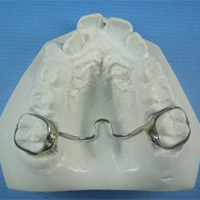 The appliance is then made on this “set-up” model so that when it is worn by the patient, it will apply pressure to the misaligned teeth until they reach the ideal position. 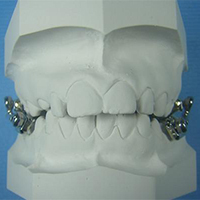 These designs can be used as a variation on any of the popular expanders. It converts a fixed expander into what is known as a “fixed/removable” appliance. This means that the clinician can remove the appliance for easy cleaning, adjustments, etc, but it is fixed to the patient due to being ligated in each time if removed. Patients are now demanding retention that is invisible. 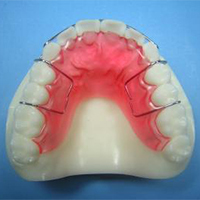 One solution is the Bonded Lingual Retainer. These appliances are designed for ease, accuracy and durability. If you are currently using the direct bonding method to place fixed bonded lingual retainers our 2 tray indirect bonding system takes the headaches out of the bonding process. 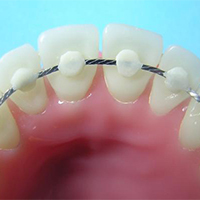 The system allows for proper placement without the worry of floss or accidental wire activation during insertion. 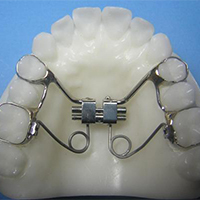 An appliance that is designed to stay in the patient’s mouth for the duration of it’s use during treatment by means of being soldered to bands or bonded directly to the teeth. 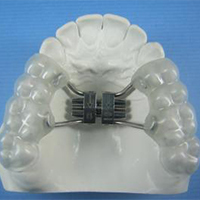 Active appliances designed to permanently lengthen the mandible by holding it in an open and protruded (forward) position. This stimulates growth at its posterior end back into the direction of the joint. Herbst’s are fixed functional appliances that are active appliances designed to permanently lengthen the mandible by holding it in an open and protruded (forward) Position. This stimulates growth at it’s posterior end back into the direction of the joint. Active fixed appliances designed to widen the maxillary arch using a screw that is opened in prescribed daily increments. 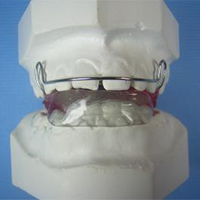 These appliances are usually utilized prior to treatment with braces to permanently correct narrow, crowded arches and create additional space into which the teeth can be moved. 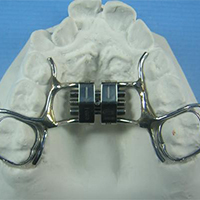 Active appliances designed to move individual or groups of teeth using springs or screws. They can be fixed or removable depending on the design of choice. 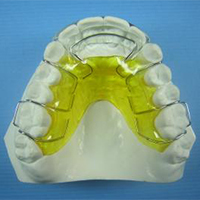 Passive removable appliances designed to protect the patient’s teeth by preventing them from clenching or grinding. It also holds the bite position open thereby relieving pressure on the TMJ. 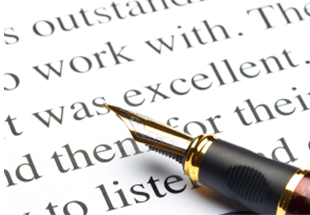 They are an impressive and professional way to enhance your treatment presentations to patients & parents. These are durable all white ideal occlusion plastic models. You can even use them at schools during Orthodontic Month to help promote healthy dental care and your practice. We constantly add products to our on-line catalog, so check back regularly to see what's new. Also, call us if you don't see what you're looking for. It may be that the appliance you need has not yet been included in our on-line catalog.